Reptiles have scaly skin while amphibians have slimy porous skin. This can be demonstrated using hard boiled eggs. 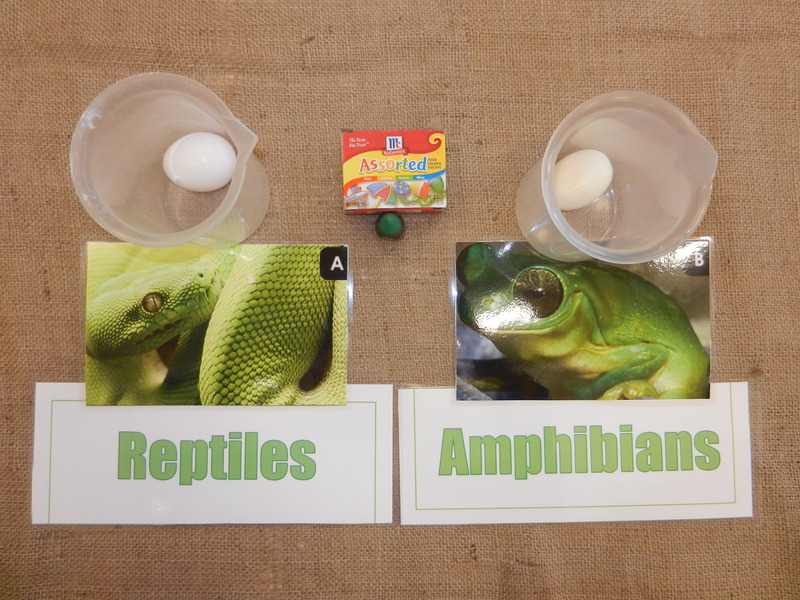 The reptile represents an egg with the shell on while the amphibian represents the egg with the shell removed. You can demonstrate the permeability of the different skin/body coverings using food dye in a simple experiment. 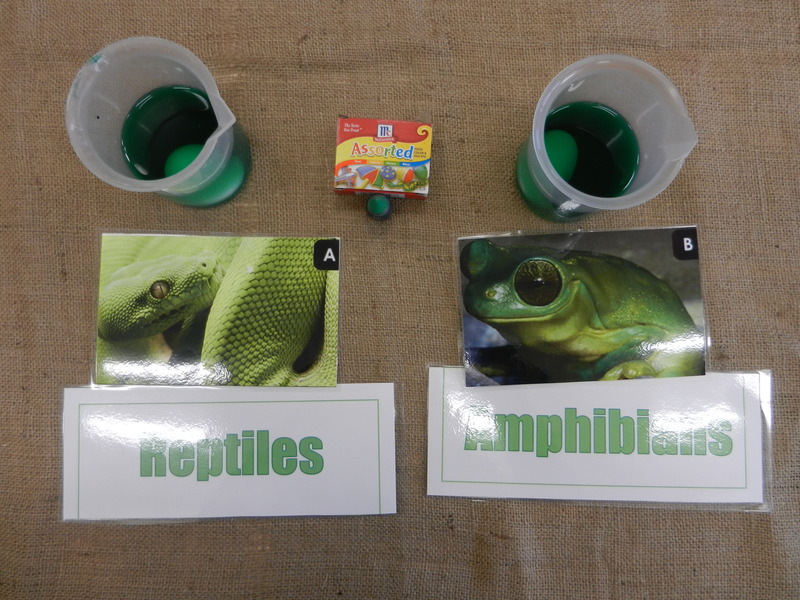 This experiment will also allow your students to test a hypothesis on the impacts of pollutants (colored dye) within reptile and amphibian environments. 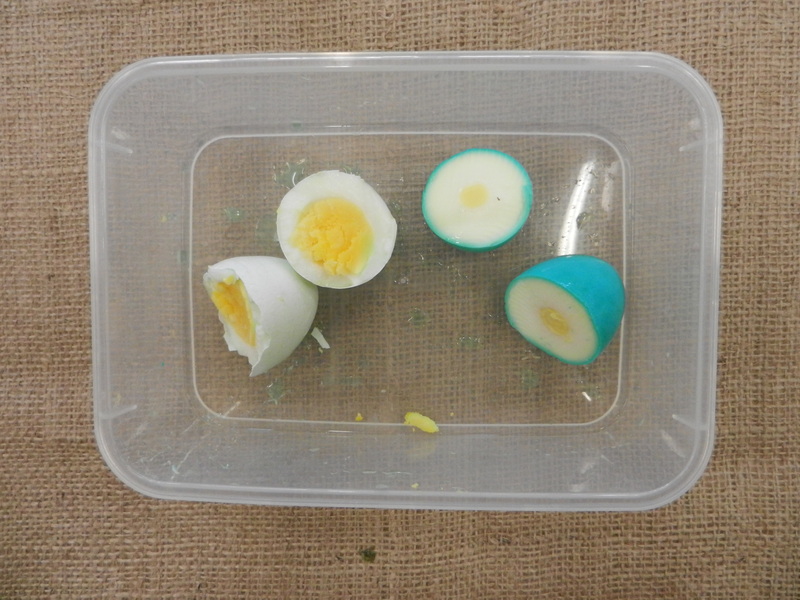 Materials: Two Hard Boiled Eggs (one with shell removed), food coloring, water, two cups, knife, measuring ruler. 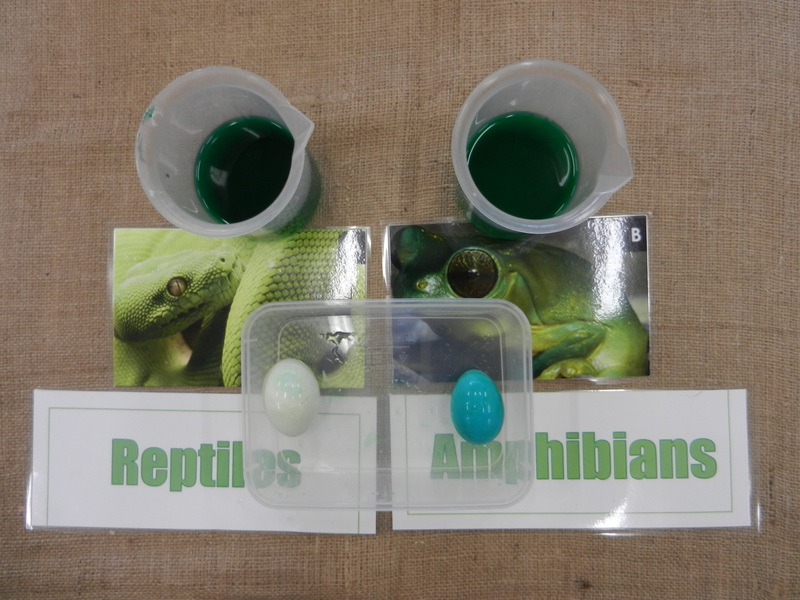 Allow students to determine which egg represents the reptile and which the amphibian? 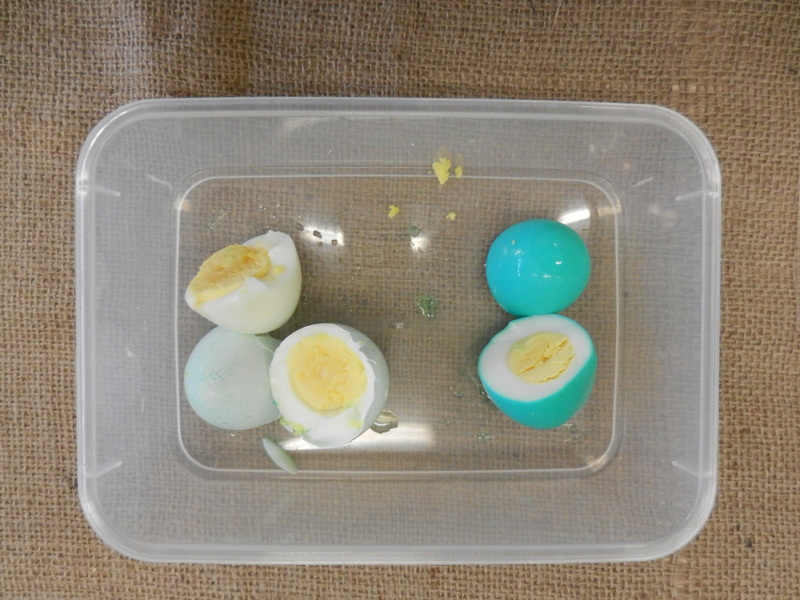 Ask students to share their hypothesis about the impact of food coloring on each egg. They can be instructed to draw what they think each egg will look like. Add equal amounts and enough water to your cups to cover the eggs. Add an equal amount of food coloring to each cup and mix well. This experiment used 8 drops per cup. Wait enough time to allow the food coloring to absorb into the eggs. Our first experiment checked the eggs at 3hrs. Our second round allowed the eggs to sit in the dye for 24 hrs. 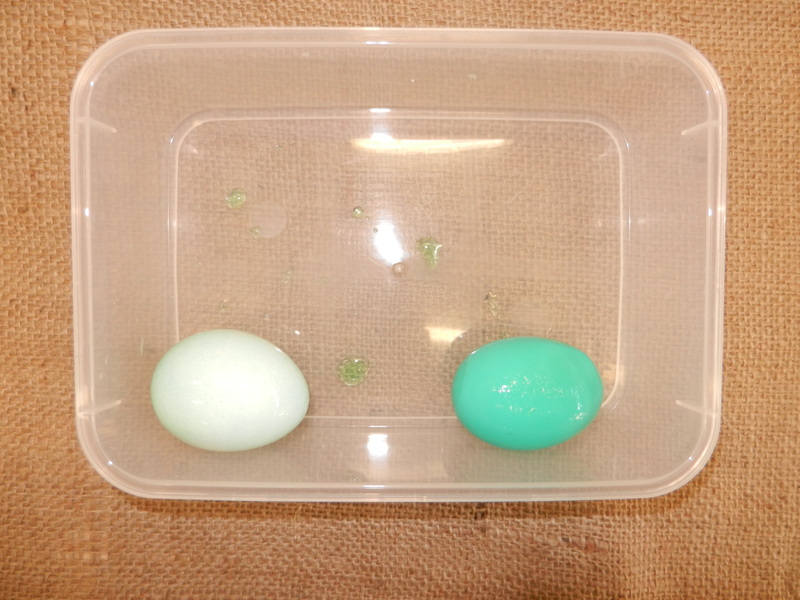 Which egg absorbed more food coloring? 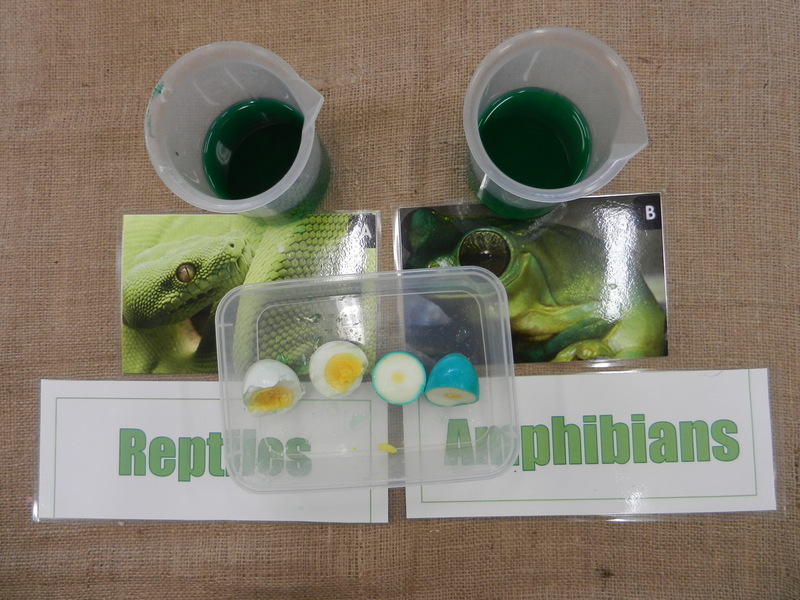 Which egg was most like the reptile? the amphibian? Would reptiles or amphibians be more affected by pollution? Why? How can you prevent pollutants from entering the habitat of reptiles and amphibians? 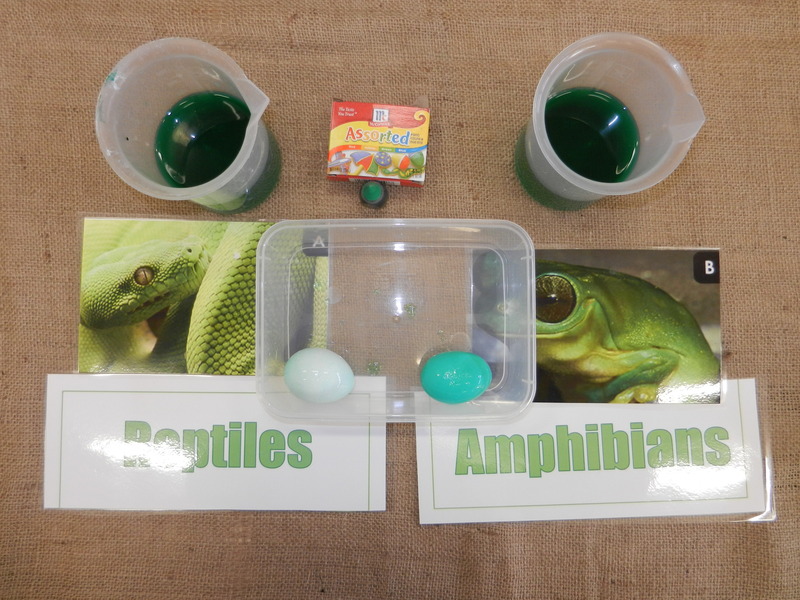 Next Frog Eggs Using Bubble Wrap – Hop Into Action!